As we face the inevitable demise into winter, our thoughts turn nostalgically to memories of summer. 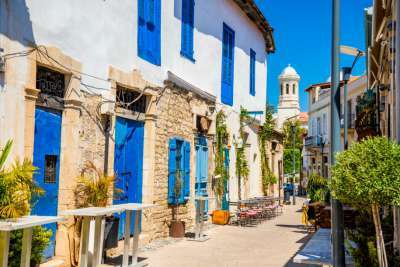 If you can’t wait a whole season before the chance to soak up those rays, head to one of these top 10 destinations which are warm year round. This mountainous island lies off the coast of Madagascar and is blessed with dreamy lagoons, dense tropical rainforests, waterfalls and an incredible reef that makes it a favourite for budding divers. This paradise destination has become popular with honeymooners for its romantic scenery, and there are plenty of incredible resorts with tastefully designed wooden huts that blend into the surrounding natural landscape. Some resorts are even perched on stilts in the shallow azure waters. Morocco is a destination worth visiting once the intensity of the summer heat has lessened, making the winter months the optimum time to visit. 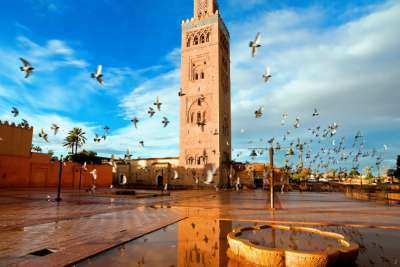 For a taste of the exotic, Marrakech is an exciting choice and a great winter sun destination. The city is known for its shimmering domed mosques, grand palaces and its labyrinth-like markets that sell colourful spices and exotic fabrics. As well as for the vibrant culture, Marrakech lures in visitors every year with fantastically cheap holiday deals. 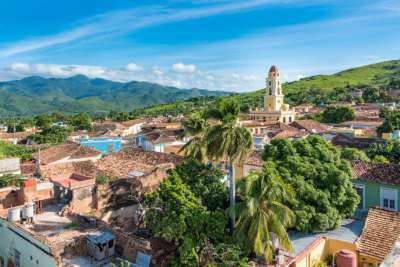 With colourful old-school cars parked on the cobblestone pavements, charming colonial buildings adorned with tropical flowers and a lively culture that inspires music and dance, it is no wonder Cuba is a popular holiday choice. There is no better time to visit Cuba than in winter, when the Caribbean Sea is at its warmest and the sun is shining. What's more, the ever-changing political face of the nation and its fascinating history makes it truly unique, and one for the travel bucket list before it changes permanently. If you're searching for that laid-back, bohemian vibe for your winter sun holiday, Bali is the destination for you. For decades, the island has enticed backpackers and holidaymakers with its verdant-green rainforests, forested volcanic mountains and luscious green rice paddies. Bali is a year-round destination and there's never a bad time to go there, but from October to March, temperatures are slightly cooler and bring a much-appreciated freshness to the air. This island is tucked away in the eastern corner of the Mediterranean, meaning it benefits from beautifully still and tranquil waters that give the sea surrounding it a jewel-like appearance. The island is characterised by its rocky cliffs that create dramatic bays, and fascinating archaeological sites which are protected by UNESCO. Head here during the Christmas period for a dose of winter sun. With its iconic skyline of skyscrapers and resorts, and its plethora of exciting bars and shopping destinations, this urban-chic metropolis is an exciting destination for a winter holiday. Whilst Dubai is very much a bustling city, it has a long stretch of coastline where you can make the most of the great weather and soak up the sun. The best time of the year in terms of weather is from November through to March, before the temperatures begin to soar to high levels. Mexico offers incredible coastlines on both its shores, with crystal clear waters, white stretches of sandy beach and long days of beaming sunshine at this time of year. 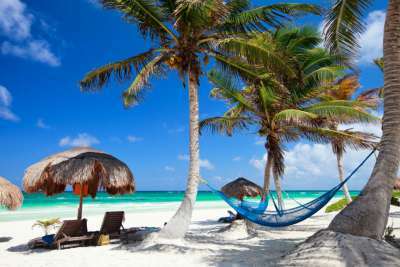 Destinations along Mexico's east coast are particularly popular - with Cancun being the favourite for its nightlife and strip of resorts, although islands off the coastline are becoming increasingly favoured. You can escape from the hustle and bustle of the mainland by catching a boat to Isla Mujeres or Holbox for a taste of laid-back island life. Some of the islands in this cluster are known for their towering volcanic backdrops set against the emerald blue waters of the North Atlantic, whilst others have blissful beaches and bays. 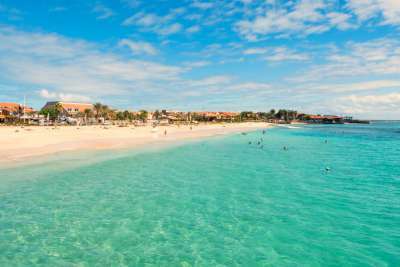 Cape Verde's incredible scenery makes it a popular choice among those chasing the winter sun. 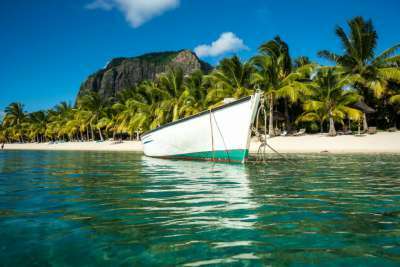 The islands' climate is pleasantly milder than that of the African mainland, and temperatures are balmy with fantastic conditions for windsurfing and kiteboarding. The islands also have a fascinating heritage of Portuguese and African culture, which translates across Cape Verde's cuisine, music and architecture. These popular islands lie off the east coast of Africa, and boast year-round sunshine and beautiful beaches. Each island offers something different, with the dramatic, rugged volcano peak that dominates Tenerife's skyline to the striking black sand beaches on the island of Lanzarote. 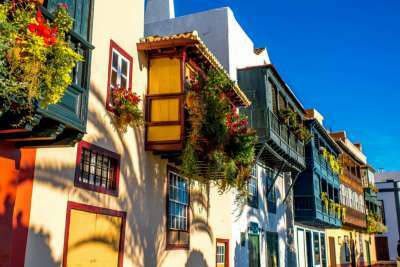 As well as the spectacular beauty of the Canaries' natural landscapes, their Spanish heritage has meant they maintain a distinctly European feel, with colourful cobbled streets and rustic Spanish architecture. 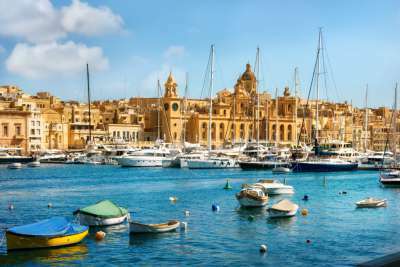 Malta's location, sandwiched between Sicily and the North African coast, means it boasts sunny days and warmer temperatures that come in from the north of Africa. This picturesque destination is known for its stunning capital of Valletta which acts as its glorious centrepiece. Valletta is a historic city and a vibrant hub with incredible examples of architecture that reflect the island's succession over the generations.